The Chevrolet Corvette has been an icon in the US automotive world. 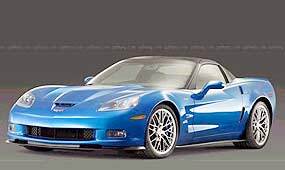 Despite that, it has had trouble in garnering the same respect in the automotive world at large, but that is all about to change when the 2009 Corvette ZR1 is released. Coming almost two decades after the official launch of the Corvette ZR1 at the Geneva Auto Show back in 1989, the 2009 ZR1 features a long list of specialized components that include extensive use of carbon-fiber paneling and an all-new LS9 supercharged 6.2L V8 developing 620 horsepower (462 kW) with around 823 Nm of torque. Enough to tow the statue of Liberty through Manhattan. Predictions are that the new ZR1 will be the first production Corvette to achieve a top speed of at least 200 mph, making it the most powerful and fastest automobile ever produced by General Motors and giving it the muscle to claim dominance over international competition like the Porsche 911 GT2, the Ferrari 599 and the Lamborghini LP640. That really is taking on the accepted high flyers! Highlights of the new Corvette include a six speed, close ratio manual transmission, a new high-capacity dual plate clutch, Magnetic Selective Ride Control with race suspension that can provide more than 1G of cornering grip. The Magnetic Ride Control is standard and tuned specifically for the ZR1 and stops axle tramp on take-off as well. The gages include a 220 mph speedometer (370 km/h) and a boost gage to let you know what the large, positive-displacement Roots-type supercharger with a new, four lobe rotor design. It is boosted with an integrated charge cooling system that reduces inlet air temperature for maximum performance. This sixth generation supercharger developed by Eaton helps the LS9 make big power and torque at lower rpm and carries it right the way through to 6,600 rpm. The twin plate clutch system is another racing-derived item which is needed to handle the torque on take-off, and GM claim that the pedal pressure is no higher than the current single plate Corvette clutch. The braking system features carbon-ceramic brake rotors. These vented and cross-drilled rotors on the ZR1 measure 15.5 inches (394 mm) in diameter in the front and 15 inches (380 mm) in diameter in the rear – making them among the largest carbon-ceramic rotors available on any production vehicle. Clamping down on the high-tech rotors are six-piston front calipers and four-piston rear calipers. The front pads are equivalent in size to the largest on any production car with a single-pad design – double that of the Corvette Z06’s 70 sq. cm. front pads. With the 200 mph potential, it will need these brakes! Tyres are supplied by Michelin and are the Michelin Pilot Sport 2 tyres developed specifically for the ZR1, measuring P285/30ZR19 at the front and P335/25ZR20 at the rear. How much for one landed in Thailand? Since it is quarter to half the price of the exotics, I will guess 12 million baht. The queue starts here. Last week I asked which motor sport competitor competed in hill climbs as both a man and a woman? The answer was Bob (Roberta) Cowell. So to this week. When did pneumatic tyres first get used in a race? And who was the driver? I mentioned a couple of weeks ago that the Singapore Grand Prix for F1 later in the year will be run under lights. The following information was brought to my attention by Alan Coates, our roving motorcycle editor, that the opening round of the MotoGP season on March 10 2008 will also be held at night in Qatar, starting at 11 p.m. local time. The reason is exactly the same as for F1, to bring the viewing time in Europe into the afternoon, to maximize the number of viewers. Apparently a group of riders tested under lights in September 2007, with part of the Losail desert circuit outside the capital Doha already fully equipped. The MotoGP assessment group found the experience satisfactory, and work now proceeds to complete the massive project. Current World Champion, Aussie Casey Stoner was not at the tests, but was in favor of floodlit racing. “I used to race dirt-track under floodlights. It was good fun,” he said. Night racing has another advantage at the desert venue: temperatures are cooler than during the height of the day and the denser air will give the bikes a performance edge. US-based firm Musco Lighting, with extensive experience in floodlit sporting applications, undertook the work. The main lighting comes from 3,200 overhead units, with 500 low-level beams cross-lighting the track surface. Should we all step into a Prius? Last week I mentioned the move towards ‘green’ cars, as the price for a barrel of crude oil broke through the $100 barrier. With today’s fixation on fossil fuel depletion, fuel misers are certainly all the rage as far as ‘green’ technology is concerned. One of the leaders in hybrid technology is Toyota, with their Prius model, which was released 10 years ago, updated for 2004 and for a further update in 2008. Toyota has sold more Priuses than all other hybrids combined - and this has to be the result of an increased awareness of the environment in the last decade, and an increase in production and availability by Toyota. Notable landmarks in the 10 year journey of the Prius include winning the International Engine of the Year award in 1999 and 2000, becoming the world’s first hybrid vehicle to finish an FIA-sanctioned rally in 2002 and setting a new land speed record for hybrid power vehicles by achieving 130.794 mph on the Bonneville Salt Flats in Utah in 2004. Market demand for the Prius also saw the opening of a new production center in Changchun, China in 2005 and interestingly, sales have increased dramatically in the last two years to almost one million vehicles, since the half-million production was not reached until mid-2006. In 2007, the Prius maintained its status as the world’s cleanest family car according to Toyota, with carbon dioxide emissions of 104 g/km, and has an official combined cycle fuel consumption figure of 65.7 mpg. Prius reminds me of the VW in the 1950’s with the cult mentality that the car produces. Remember those days? They flashed their headlights at each other and waved, complete with a certain smug smile. “Aren’t we clever,” was the implied concept. Prius is the same. Reported satisfaction rates are consistently at 98 percent, and the owners have that certain smugness about them, showing they are doing their bit to fight global warming. So it makes ‘green’ sense to buy a hybrid, but does it make financial sense? The EPA in the US rated the vehicles available for sale over there. Their number 1 fuel miser was the Honda Insight. This little gem costs 3.7 million baht over here. Compare this with the Honda Jazz that costs about 0.6 million baht, a saving of 3.1 million. I will now consult my crystal ball and suggest that in five years, the Insight will be worth 1 million baht, and the Jazz 0.2 million. You will have lost 2.7 million baht on the Insight and 0.4 million baht with the Jazz. So the Insight owner will have ‘lost’ 2.3 million baht more than the Jazz owner in the five years (ignoring servicing, insurance and other standard expenses). That breaks down to 460,000 baht a year. So will the Insight owner save more than 460,000 baht per year in fuel costs? This is not possible. Not even the Porsche Cayenne Turbo owner will spend 38,000 baht a month on fuel. If you want to be a greenie, you will have to pay for the pleasure. Has Ford said Tata to Jaguar? It looks very much as if the Indian conglomerate Tata has bought Jaguar and Land-Rover. Another two premier British makes going overseas, and this time to India, once part of the British Raj. How the mighty have tumbled. 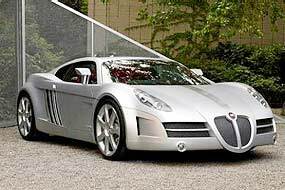 If Tata gets Jaguar and Land Rover, it will be in the unusual position of manufacturing two of the world’s prestigious cars as well as one of the world’s cheapest, having already announced its “people’s car” which has a sticker price of USD 2,500 (around 75,000 baht). The Tata Group has 98 firms and began emerging as a force in the world marketplace in 2000 when it bought Tetley Tea, Britain’s top tea-bag brand. The Tata Group, founded in 1868, is a colossus at home in India, with annual revenues of USD 29 billion, the equivalent of 3.2 percent of India’s GDP, and is the biggest private employer, with 289,500 people on its payroll. It probably is about time that the MD got a Jaguar to drive around in! The battery died on the ‘works’ Mira yesterday. It had been sending messages for the previous two days, but as usual you ignore the reluctance to spin the engine in the morning and put it down to the cold weather. After all, I don’t like starting in the cold weather either. So, out with the jumper leads, clear away the children, fire up and drive to the nearest battery shop. There the happy chappie brought out a new battery and began to remove the old one. A little voice inside told me to ask the price before we were too far along with the replacement. “Sam pun, ha roi,” said the little man. Three thousand five hundred baht! Did he think that the six inch stainless steel bar that holds my ears apart was corroded? Since his expensive battery looked plastic on the outside and not encrusted with jewels and gold, I declined. However, I did attach my jumper leads to it to get going, and then drove to the next place. This one suggested B. 1750 and efficiently replaced the offending dead battery. The moral to the tale is always to ask first!